RIS/PACS software developer PaxeraHealth will launch its image sharing platform PaxeraShare at the upcoming ECR 2019 meeting. 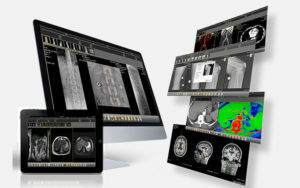 A modern approach to image sharing and data access, the PaxeraShare platform has been designed using the latest HTML5 technology that requires no software installation and enables recipients – whether they be physicians or patients – to instantly view the images and reports from any browser or smart device regardless of the operating system or file type. In addition, healthcare providers have the ability to share images and reports directly with their patients through the CareRad app, which is available to them for free through App Store and Google Play. According to the company, PaxeraShare is easily deployed on top of any existing PACS in a few hours with no IT customization required. The solution is designed to improve care management by allowing physicians to share images easily and securely through one click or create a temporary link for the study, eliminating the need to take burned CDs or DVDs to the hospital, reducing cost and readmissions, as well as enhancing clinical care.